Without it, everything that you own, all the hard work you’ve put into it, your reputation and your customer’s safety is all at risk. Unfortunately, the world is full of individuals who have a malicious intent, for one reason or another. By taking the time to be proactive in protecting yourself and your website, you can be sure that they don’t become a problem and your business, blog, brand, and website can continue to operate without a problem. To help get you started here are ten essential steps you can take to improve the security levels of your website. When a company updates their platform, whether it’s a server-side company like BlueHost or your hosting platform, like WooCommerce or WordPress, these updates contain fixes to bugs and problems that could be directly related to the security of your website. If you don’t update and a hacker tries to use one of the patched entrances to your website, it’s going to work which could cause massive problems for you in the future. If you’re using WordPress, your default admin path will be something along the lines of ‘www.yourwebsitename.com/wp-admin’. This is an address that many hackers and users with malicious intent are well aware of and will try to exploit. Even if you’re not using WordPress, consider what software, platform or API you’re using and whether it comes with a default entry point, such as /index. If it does, get it changed. This may seem like the oldest trick in the book, but you’d be surprised with just how many people still overlook this key fact that choosing your password is so important. Having something like ‘Password12345’ is not good enough, and it will be cracked more or less instantly, especially with the software that’s available today. Even ‘54321drowssap’ isn’t good enough; you want to mix up capital and lowercase letters, symbols, numbers and the works. If your website is hacked, you can bet your bottom dollar that the first thing that will start to change is the files on your server. Whether more are being uploaded, some are being deleted, or others are being changed in certain ways, your files will be what the hackers are after. “When our website was hacked, we didn’t even realize for weeks. The hacker was making tiny changes here and there in our files, the tiny sort of changes that we wouldn’t even notice. It wasn’t until we implemented a ‘file change monitoring’ plugin that we began noticing!” shares Jessie M. Allred, a webmaster for Top Canadian Writers. This point will only apply if you have multiple user accounts that can access your website, but it’s so important that you do. Firstly, and most importantly, make sure you know exactly who the single user is and what role they play in your business. Maybe you created a guest account for a blogger to post and they no longer work for anymore. Is that account still active with active login details? Secondly, you’ll need to consider what roles these user accounts have. If you’ve not paid much attention to them in the past, how do you know they all don’t have admin abilities and could close your website at any time? This is so important to consider as one account being compromised, such as a misplaced password, could bring down your entire network and, at that point, there’s not much you can do about it. There are many businesses, companies, organizations, and individuals out there that specialize in security. You’re already trying to run a business and manage everything that is going on. 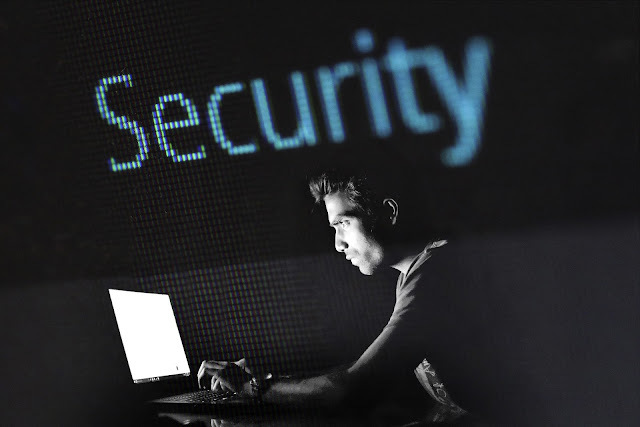 When it comes to security, depending on the size of your website, it can be a full-time job which is when it’s time to bring in the experts. It’s not worth running the risk of trying to do everything yourself, and then something goes wrong. Find a trustworthy partner that can help you, employ their expertise and focus on doing what you do best. Cleaning up your website and making sure that the files, themes, and plugins you have on your website are essential. Every new file or add-on you have is another access an entry point for hackers to access your site. “When we went to our website, we found extremely old plugins we were using when we first started the website. These were still installed on our service but hasn’t been updated in years. The security risk on them was unbelievable, and one member of our team said if a hacker had discovered this, they would have so easily have brought our website down,” shares Jennifer W. Harvey, a private teacher for Best Australian Writers. This should be a normal practice anyway, but it’s so important that you back your website up regularly. Also, be sure that you don’t store your backups on the server of your website but rather in a safe place, such as a USB stick or on your local hard drive. Should anything happen to your website, you can simply re-upload the backup and start again. Just because you paid big money for a fancy hosting company, that doesn’t mean you’re protected, so this is something you’ll need to check. Be sure that your website and server access is all SSL encrypted and have remote server backups of your website. The internet is a constantly evolving form that’s always changing direction, and new purposes and ‘things’ added every day. Some of these things can be new ways to attack your website or to acquire information on your users, maybe even their financial information. The only way you can make sure that your website is truly up to date is to test it whenever you can continuously. Whether you’re scanning your website for vulnerable areas and pages or even penetration testing, finding a flaw in your defenses now could save you from a whole world of trouble.